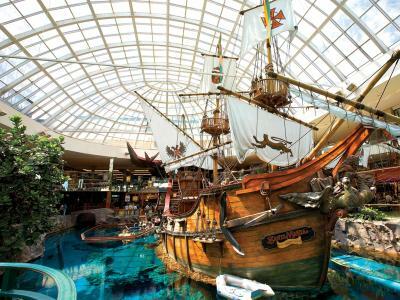 Lock in a great price for West Edmonton Mall Inn – rated 8.1 by recent guests! Fantastic location across the street from the mall - right in front of the casino on the second level and bourbon street on ground level. Cross walk and lights right in front of Hotel. Room was great also. When I booked I didn't realize there was a free breakfast .. Which wasn't bad at all. Excellent location. 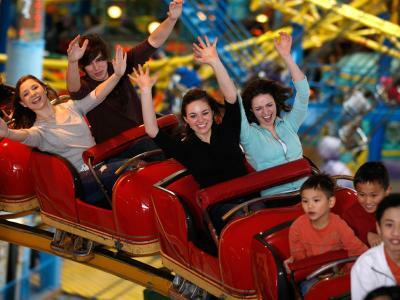 Great when traveling with a family as each person can come and go from West Edmonton Mall at their leisure. No waiting on each other and no need to drive anywhere. Comfortable, good location and wonderful clean room. The room was huge, and quiet. I was suprised that I couldn't hear any noise from the road or the playground behind. The air conditioning/heating worked well. The bathroom was clean and tidy, and the toiletries were a lovely touch. I contacted the staff of the hotel before my stay and they were very helpful, even though I was emailing in the middle of the night. I was impressed! Location to West Edmonton Mall at a reasonable price. The room is great and the price is fair. Close to West Edmonton mall, the staff is great, the building and the room are clean and organized. We stayed one night and the bed was incredibly comfortable. The staff also helped with all the information we needed. The breakfast was simple, but delicious. Had a great stay will go back again the breakfast, they had everything. The location and friendly staff were excellent. I would stay here again and would recommend this hotel to anyone wanting to visit the WEM. 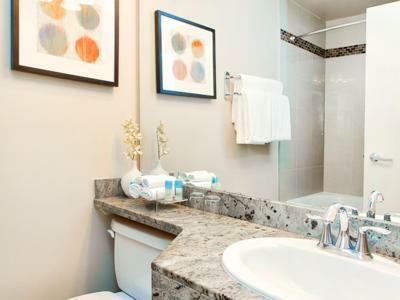 West Edmonton Mall Inn This rating is a reflection of how the property compares to the industry standard when it comes to price, facilities and services available. It's based on a self-evaluation by the property. Use this rating to help choose your stay! 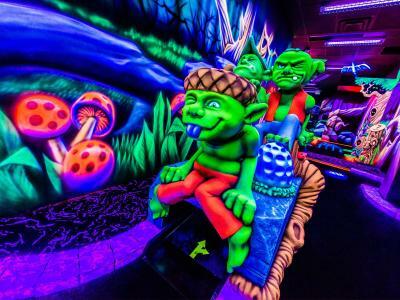 This Edmonton hotel is across the street from the West Edmonton Mall and Galaxyland indoor amusement park. 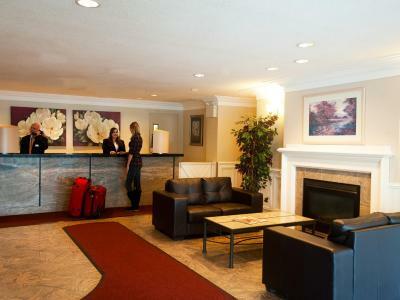 The hotel offers free on-site parking and guest rooms with coffee makers. 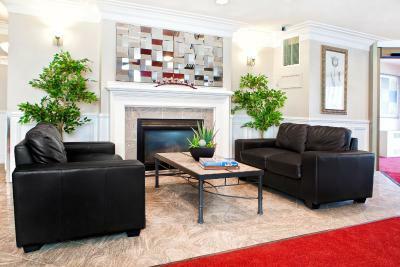 West Edmonton Mall Inn features a fireplace in the lobby. 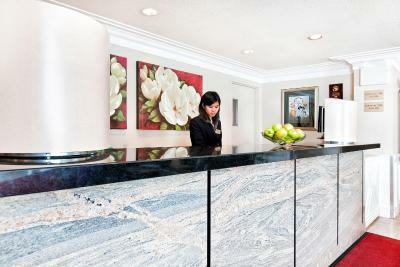 A 24-hour front desk is also available. Wi-Fi access is provided throughout the property with surcharge. Guest rooms at the Inn West Edmonton Mall offers cable TV and air-conditioning. Clock radios and hair dryers are also included in each room. Waterpark will be closed from September 4, 2018 - October 5, 2018. 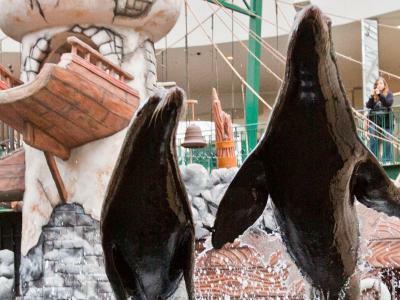 When would you like to stay at West Edmonton Mall Inn? Offers coffee maker and cable TV. This Edmonton hotel is located across the street from West Edmonton Mall, North America’s largest shopping and entertainment complex. 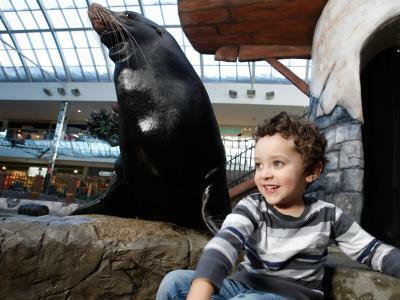 It is home to more than 800 stores and services and 10 world-class attractions including World Waterpark and Galaxyland Amusement Park. Each guestroom features two queen-sized beds or one king bed, 42” LCD TV with HDTV, complimentary Wi-Fi, in-room coffee, mini fridge, in-room safe, hairdryer, voice mail, clock radio, and air-conditioning. Continental breakfast included. 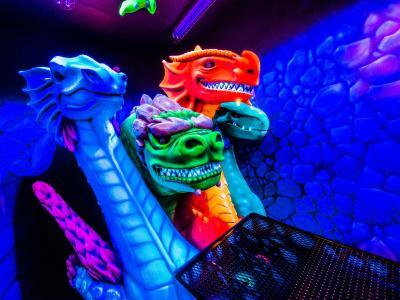 House Rules West Edmonton Mall Inn takes special requests – add in the next step! Any additional older children or adults are charged CAD 20 per night when using existing beds. One older child or adult is charged CAD 20 per person per night in an extra bed. West Edmonton Mall Inn accepts these cards and reserves the right to temporarily hold an amount prior to arrival. Elevator broke down, had to take stairs to get to room after 9 hour day at the mall walking, was fixed quickly, which was nice, stairwell smelt of urine. Excellent location able to walk across to west Edmonton mall, close to a lot of restaurants.excellent friendly staff, nice size room that was clean. 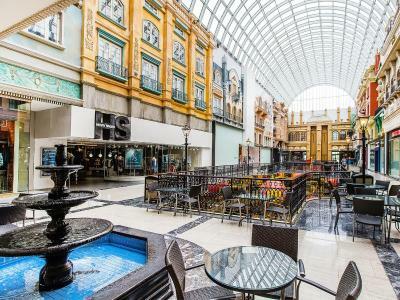 Location is perfect to walk to the West Edmonton Mall. It is directly across the street and it takes less than 5 minutes. The entrance you walk to is right on Bourbon Street in the mall where all the restaurants are. Very convenient. The hotel was very good for the rate. The rooms need a bit of an update but we didn't spend alot of time in the rooms expect to sleep. The staff were very pleasant. Free breakfast (toast, cereal, yogurt, tea/coffee, boiled eggs, pancakes machine) could use some enhancements like water (none available) and when asked the answer was we don't have any, and a few more tables. Overall, good value and super convenient. The breakfast room is too small. 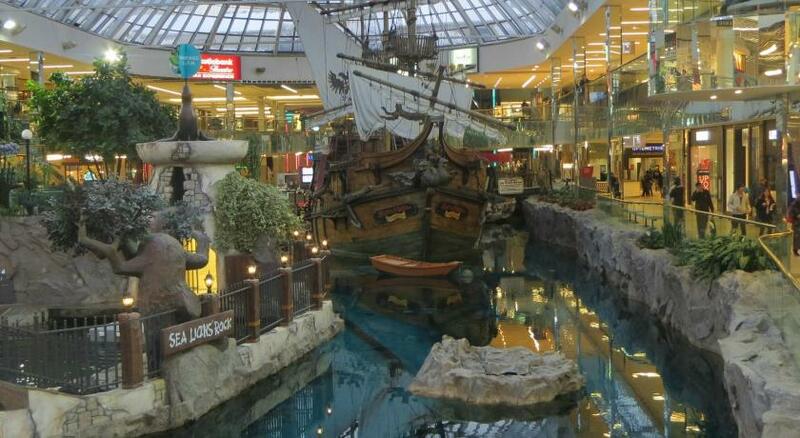 The place is very close to West Edmonton Mall. The staffs are very friendly and helpful. Clean very close to West Ed mall. Very expensive for what we got. Very disappointed. We thought it would be convenient to stay close by West Edmonton Mall but now I wished we would have stayed somewhere else even if it meant driving for a bit. It was a little pricey for how old the place is ..but it was convenient.. It was right across from the WEM .so that was perfect ..didnt have to drive . Inconveniently placed outlets for charging devices.